Every other week during each legislative season we endeavor to post a summary of the status of selected bills with our position noted if any. Occasionally there will also be calls to action in these posts and on our legislative page urging support, opposition, or amendments. SB 288 (Wiener) “Solar Bill of Rights” – Read our Support Letter. SB 288 passed its first hearing on April 10 in the Senate Energy Committee, with a vote of 11-0. At the hearing over fifty organizations and individuals called for the protection of the right to self-generate without undue barriers, red-tape, or discriminatory charges by the big utilities. On the opposing side were the big utilities with a single stale and dubious talking point: cost-shift. The bill still has at least five more steps before it makes it to the Governor’s desk. Next up is Senate Appropriations Committee in May, followed by a Senate floor vote in June. Each step is difficult for a bill like this so stay tuned and stay involved. For the latest visit the bill sponsor Solar Rights Alliance’s Solar Bill of Rights page. SB 246 (Wieckowski) – Read our Support Letter. – This bill would impose a severance tax on oil and gas extracted from California. AB 684 (Levine) – Read our Support Letter. – Rules proposed in this bill would ensure that the infrastructure necessary for EV charging in multi-family dwellings is codified through multi-family building standards. SB 255 – A Bradford bill to support? Senator Steven Bradford is well-known in CCA circles as one of the most ant-CCA legislators. However, AB 255 is a good bill. This bill would require CCAs (and other LSEs) with gross annual revenues exceeding $1,000,000 to annually submit a detailed and verifiable plan to the CPUC for increasing procurement from small, local, and diverse business enterprises in all categories, including, but not limited to, renewable energy, energy storage system, and smart grid projects. 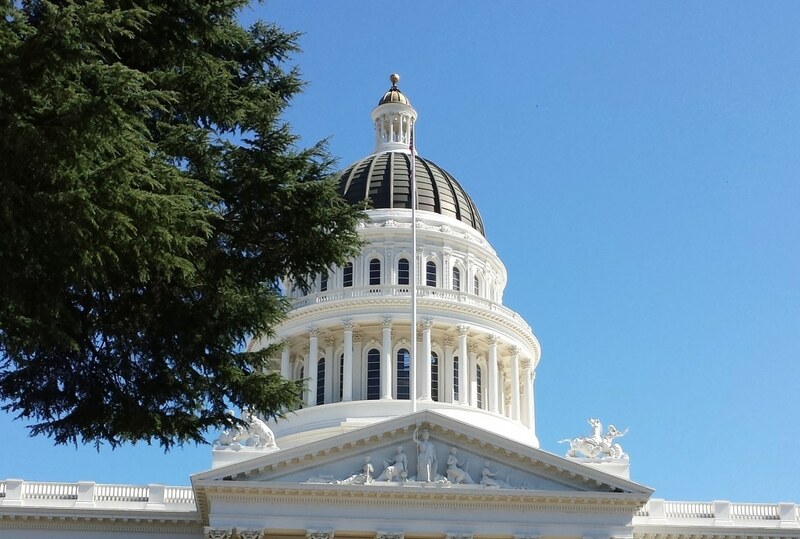 The bill would also require each CCA with gross annual revenues exceeding $1,000,000 to annually submit a report to the CPUC regarding its procurement from women, minority, disabled veteran, and LGBT business enterprises in all those same categories. The bill is scheduled to be heard in Senate Appropriations Committee April 22. AB 56 (Garcia) – Read our Letter of Opposition AB 56 was amended in the April 10 Assembly Utilities Committee and passed out of that committee. The bill would now authorize the CPUC to require an existing agency, the California Alternative Energy and Advanced Transportation Financing Authority (CAEATFA), to undertake procurement of electricity to meet the State’s climate, clean energy, and reliability goals that are not satisfied by load-serving entities (LSEs). The bill would authorize CAEATFA to undertake procurement consistent with specified objectives and to manage the resale of electricity for its contracted resources and would provide for the reduction in procurement compliance obligations for LSEs for the electricity procured by CAEATFA. The bill would impose a nonbypassable charge for recovering revenue from retail end-use customers of LSEs collected on the basis of usage. Although the bill was amended on April 10, we remain in opposition pending further review. Our key concern is the degree to which the bill ensures procurement autonomy and that CAEATFA is only authorized to procure “residual” assets when LSEs are not able to meet their obligations. This bill will next be heard in the Assembly Appropriations Committee on April 22. AB 1362 (O’Donnell) – In 2011 SB 790 was enacted as the result of egregious obstruction from PG&E against cities and counties in PG&E service territory that were attempting to form Community Choice agencies. SB 790 (Leno, 2011) established a Code of Conduct that prohibits IOUs from using ratepayer funds to market against CCA formation. AB 1362 would render the Code of Conduct meaningless by applying the requirements equally to all load serving entities. We are in the process of crafting an opposition position/letter. The bill is in the Assembly Utilities and Energy Committee and will be heard on April 24. SB 350 (Hertzberg) – This bill authorizes the CPUC to consider changes within the resource adequacy (RA) program, including the use of a multiyear centralized resource adequacy mechanism. Our key concern The bill will next be heard in Senate Appropriations on April 22. SB 520 (Hertzberg) – This bill aims to make certain changes regarding electricity service Provider of Last Resort (POLR). All three IOUs currently serve as POLR and all three have stated that they no longer want to, asserting that they do not believe they are fairly compensated for serving as POLR. Some CCAs have expressed interest in serving as POLR, however, there is no current undertaking to assess what terms and conditions under which a CCA or another entity could serve as POLR. As of April 17, no committee bill analysis has been published. It was amended on April 11 in the Senate Energy Committee and will be heard again in that same committee on April 24. For the complete list of bills we are tracking, updated for April 18, click HERE. Our next legislative update will be published on May 2.